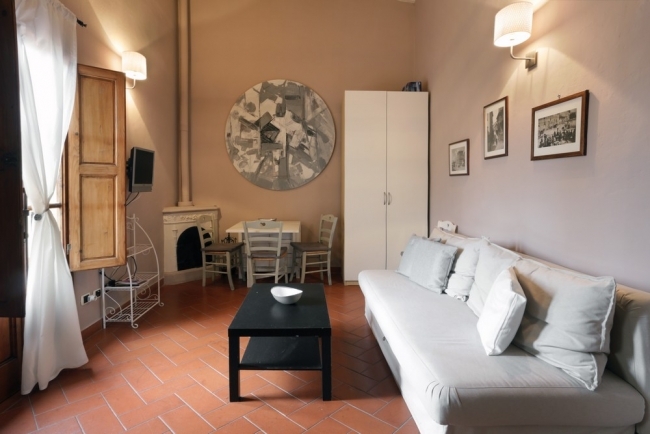 APOSTOLI GRANDE is composed by a set of 2 apartments (APOSTOLI MEZZANINE and APOSTOLI) located on the 4th floor of an antique palace that belonged to the noble Florentine Altovity family. 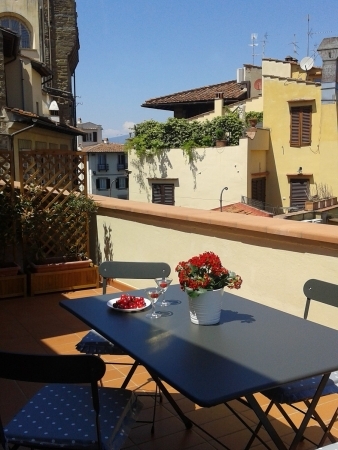 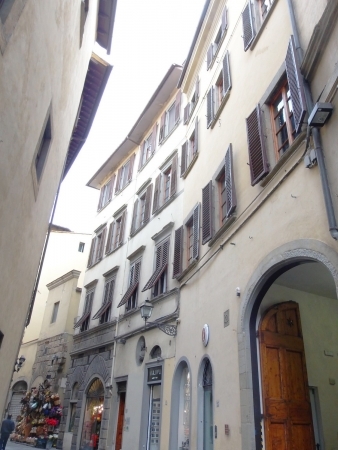 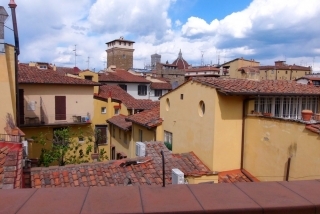 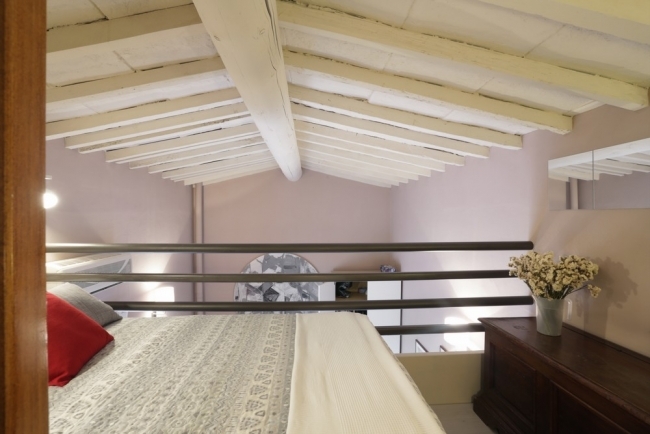 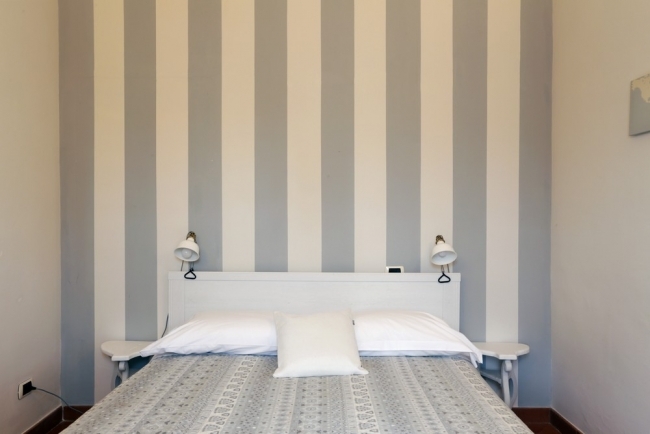 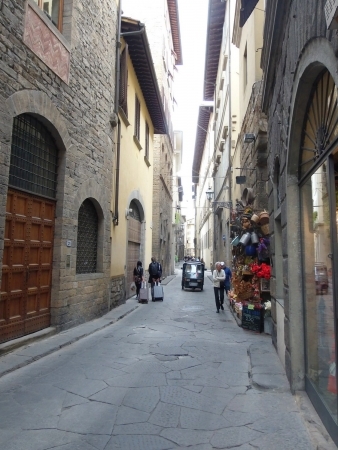 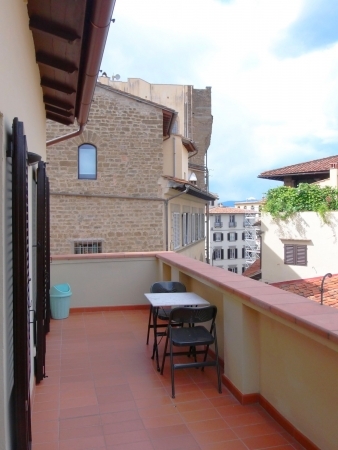 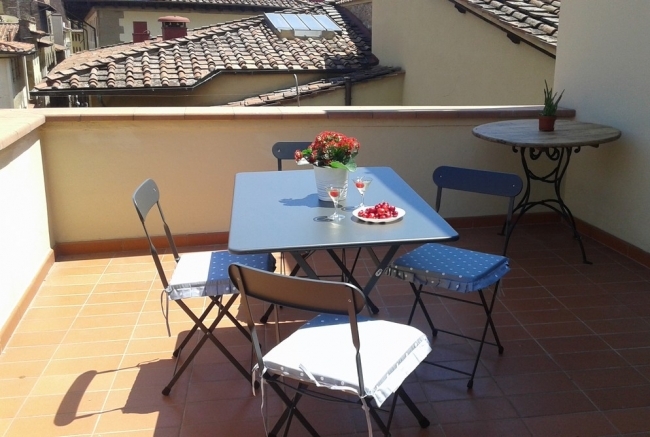 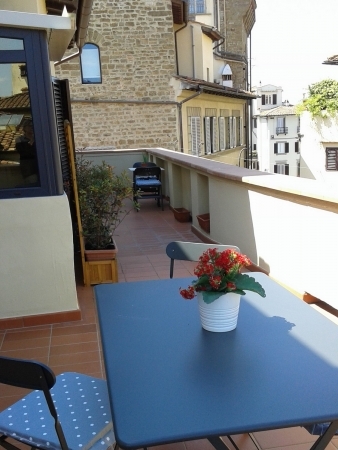 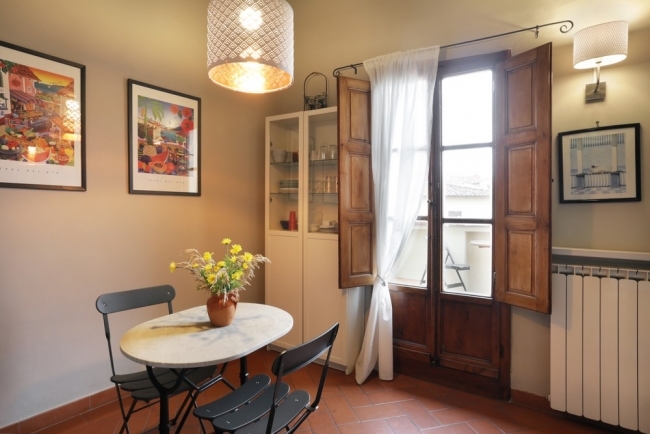 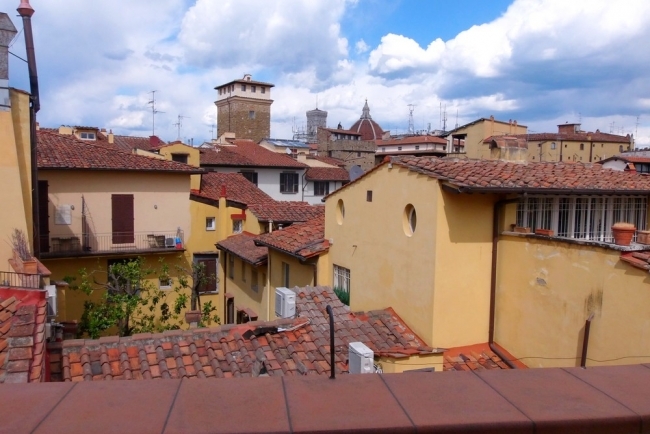 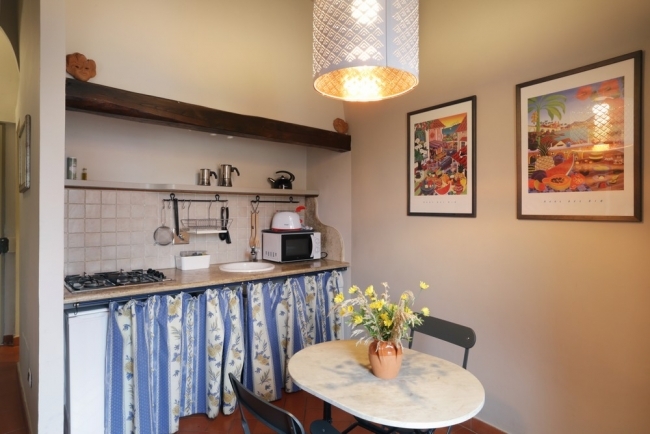 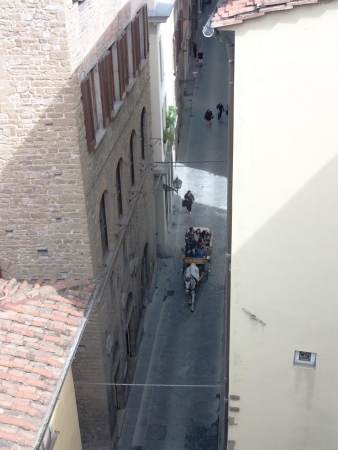 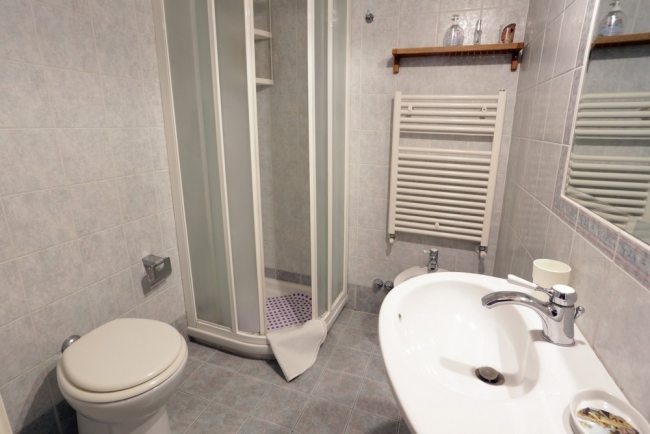 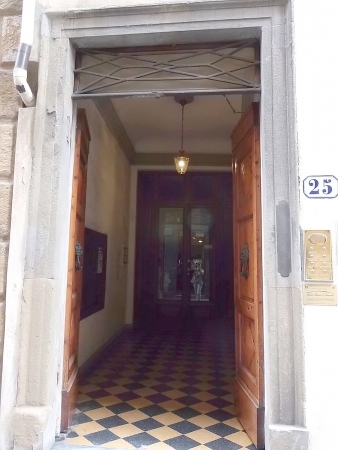 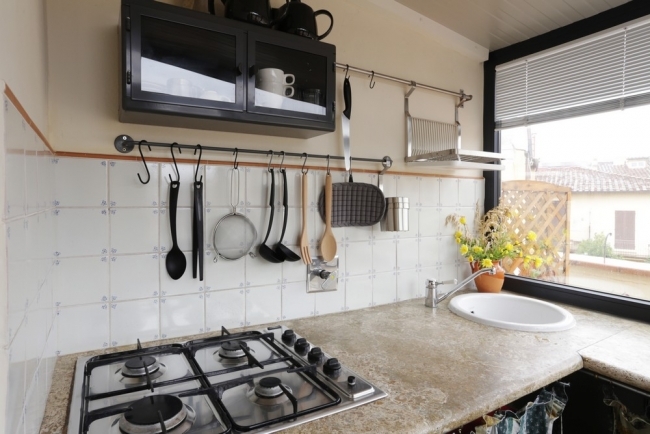 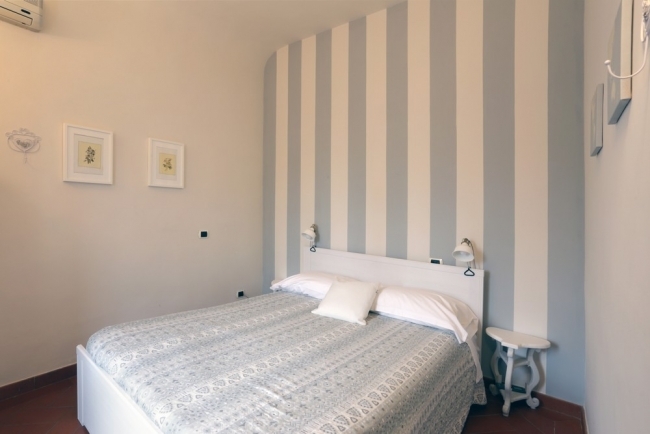 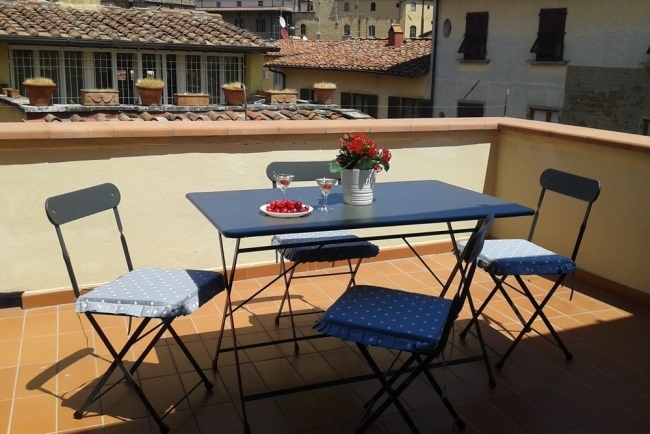 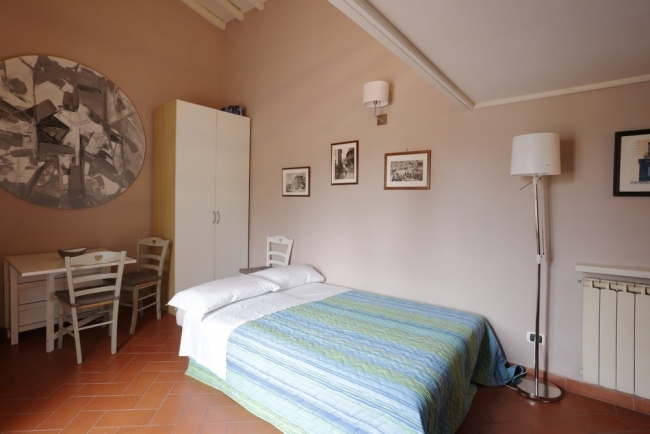 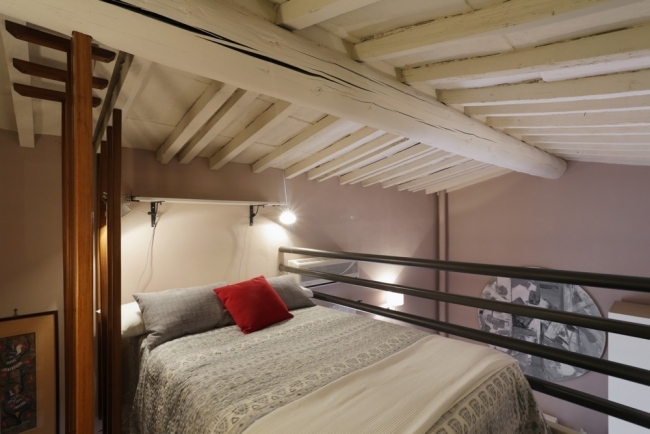 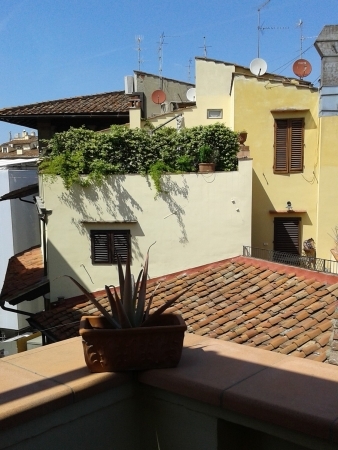 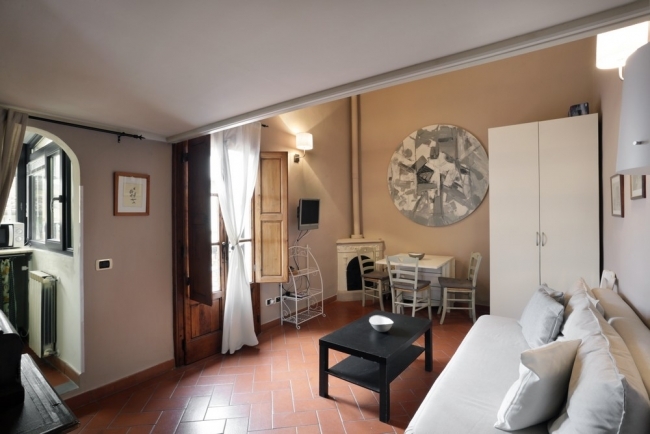 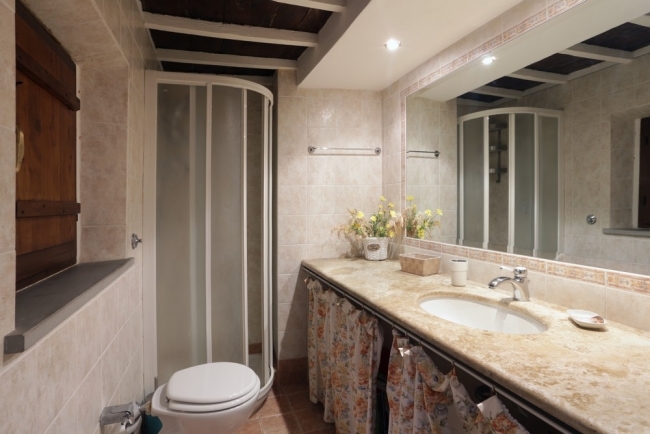 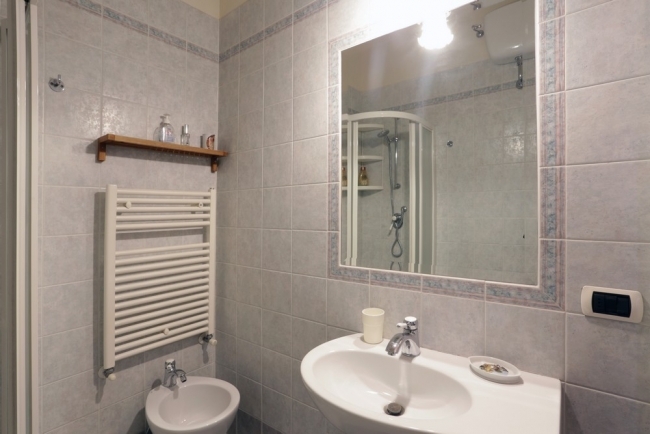 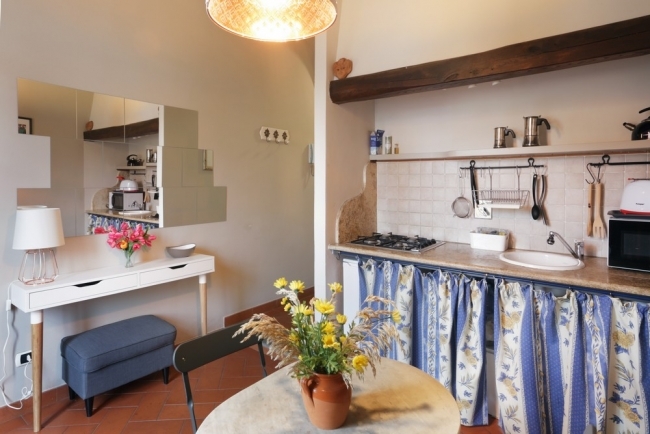 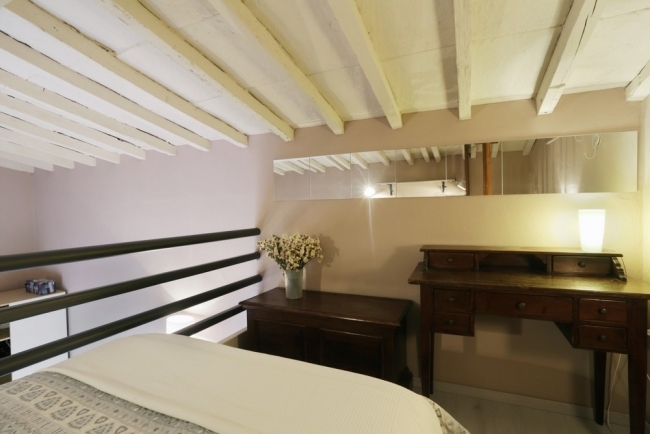 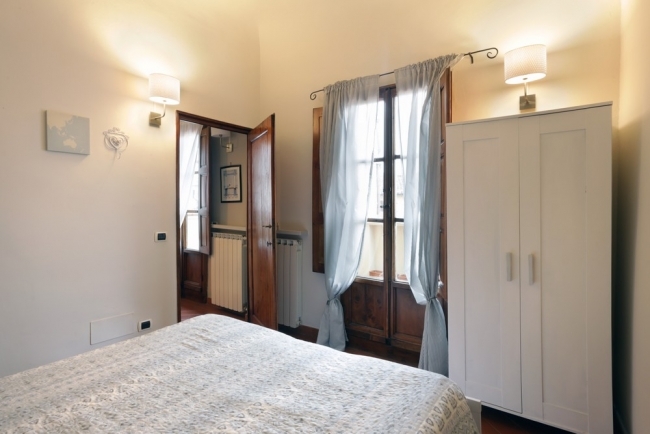 These two apartments together gives a cosy housing (61 m²) that is linked by a beautiful terrace of 40 m² with a panoramic view on Florence’s roof tops, the Duomo, Palazzo Pitti and the tower of Palazzo Vecchio. 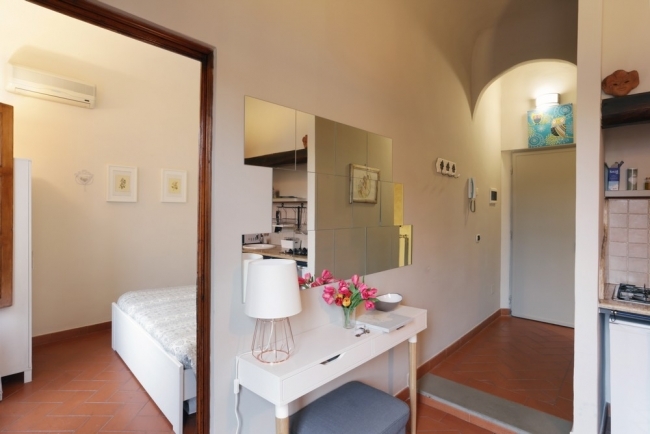 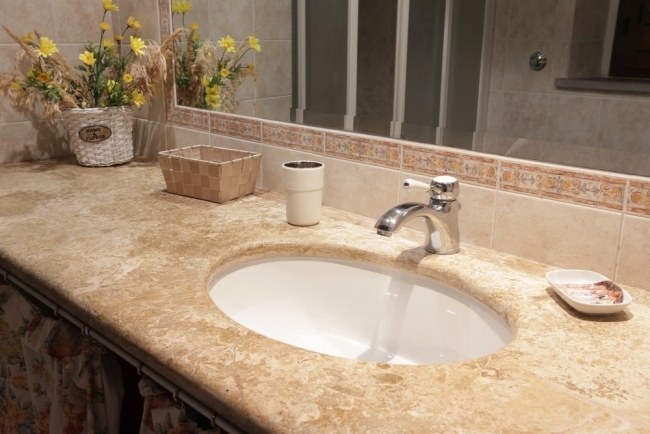 In one of the apartment, there is a small step between the corridor and the living-room. 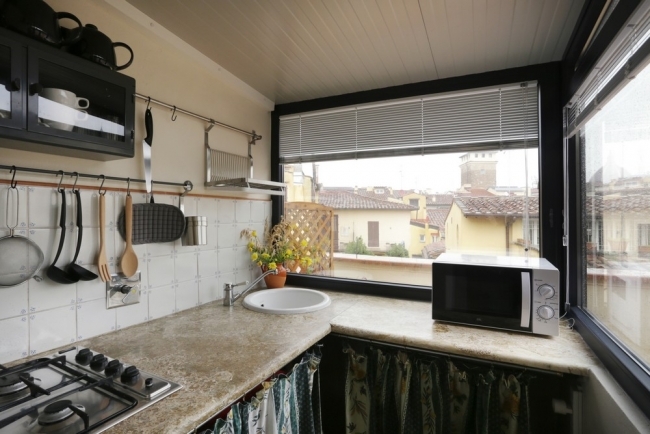 In one of the apartment, no sofa.